Happy New Year to everyone! Just a quick post today... boy number two has the stomach flu:( This is a super fun card that I made using the new spinners that will available for order on January 4th! The boys thought that this was the coolest b-day card ever! 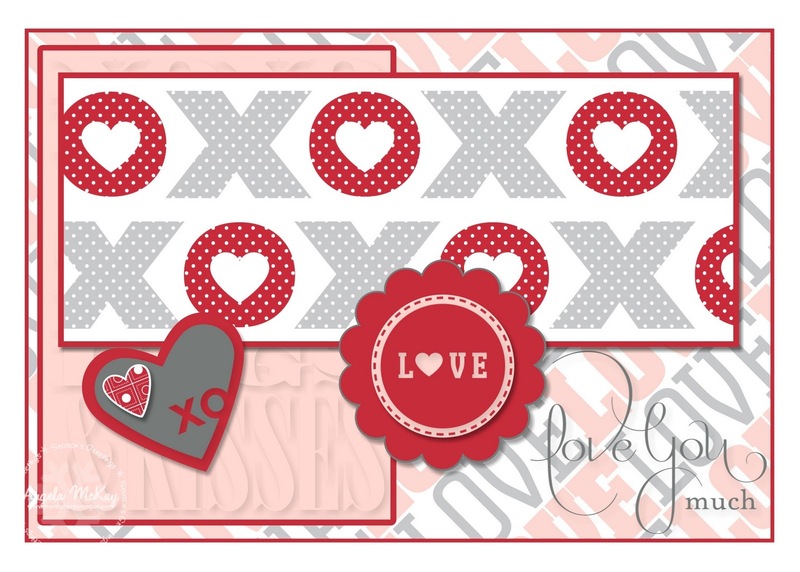 Stampin' Up sent me a free page of the new Love Impressions RubOns in the first demonstrator order that I placed in December... 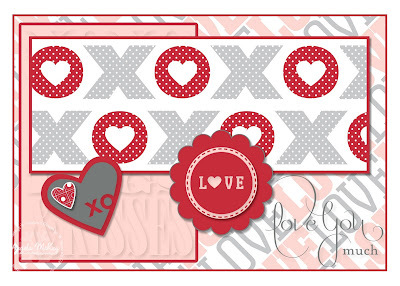 I love the perks SU gives:) This adorable little Valentine card was soooooo easy and soooo fun to make. 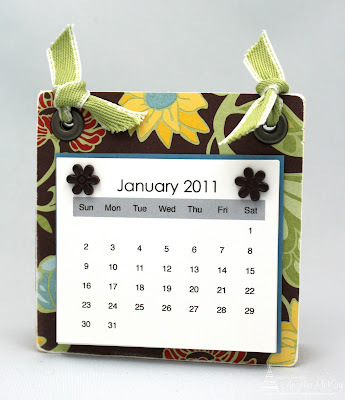 Your chance to order these super cute RubOns is coming up quickly... January 4th to be exact! Maybe you'd rather have them for free????? Why not sign up to be a demo then and get them in your first demo order? Holy... blast from the past! This wedding photo was taken of Sean and I ten years ago!!!!! Where does time go???? This weeks' Stampin' Royalty Challenge is super fun! The challenge is to share something that you've scrapbooked lately. Digital entries are welcome as it seems to be what many of us are into now... surprisingly... mine isn't this time around! Christmas Gifts for My Gals! I made these for all of my Club Girls this month as a little Christmas Gift. (Megan... yours is still here:). 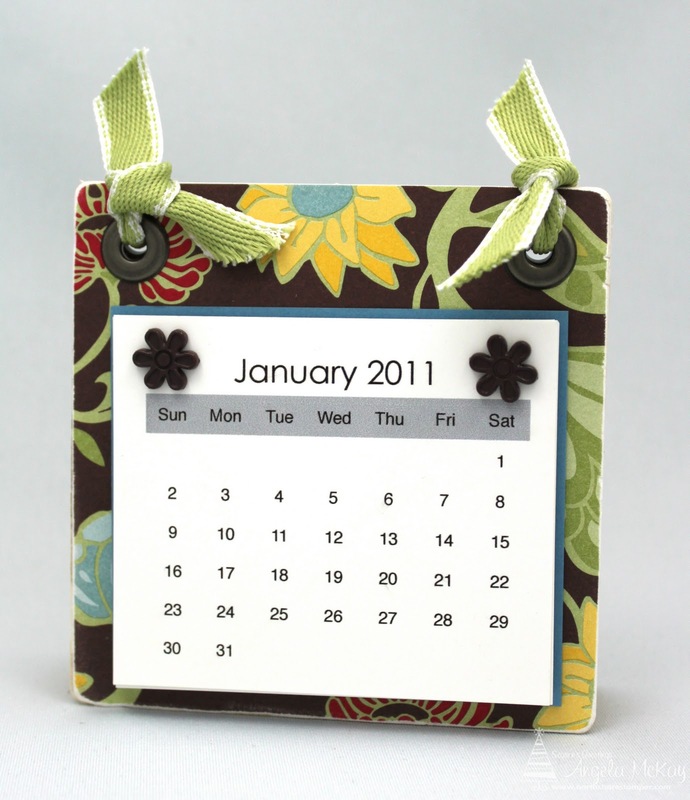 They are adorable little A-Frame desktop calendars. 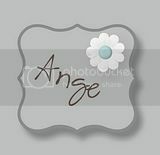 I got the concept from an AMAZING crafting friend of mine, Angie Juda. She even eliminated a large part of the work for me as she has a template for the calendar portion available on her blog. All I had to do was print it out and follow her video instructions for cutting. This was one of the cards we did at club this month. All of the ladies comment on the fact that there is nothing that compares to the SU blocks when it comes to hold. The stamps cling to them perfectly. I really liked sharing with them another use for these amazing blocks. You simply put them into your classic stamp pads just like you would a stamp. Once they are inked up... just stamp them on your paper and you'll get these fabulous backgrounds to stamp on like the Bashful Blue one on this card. I love how it all came together with the new Botanical Gazette DSP and the new Nature Walk stamp set! This week's Stampin' Royalty Challenge is a Sketch Challenge:) Thanks goodness for me as I was away when I realized that my design team sample needed to be in. I had no stamping supplies other than my computer and My Digital Studio. 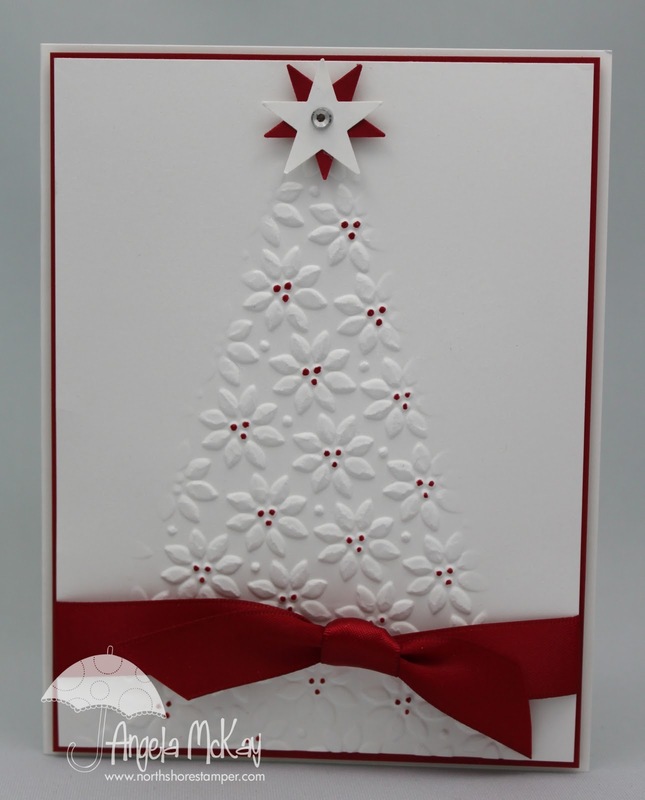 It sounds a little redundant to say, I love the Love Impressions Designer Series Paper! The colours are subtle, yet striking at the same time... what do you think? I can't wait to make this card for real! I can't wait to see what you come up with! Just a quick share of another page from my mom's scrapbook. I love the fact that even when the Autumn Spice DSP retires in a couple of weeks that I have an endless supply! This is a must have download! Now that I've caught up with scrapping most of 2010, I think I'll head back and work on 2009. I can't imagine how great it would feel to be caught up! 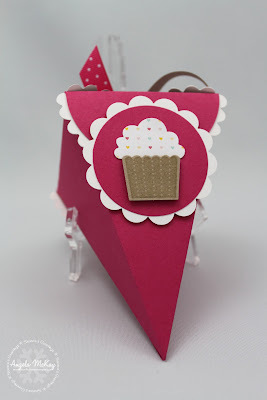 The new cupcake punch is a MUST! 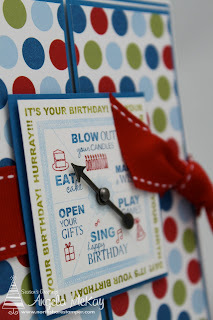 This should definitely be on your "list" for the new Occasions Mini... and in my opinion, it should be near the top of the list! That adorable little cupcake is all popped up in separate parts... cherry and all; and there was NO cutting involved! This page was created with some photos that I took last year when the Olympics were on in Vancouver. When I created my mom's scrapbook recently, I wanted a few pages that told the story of each month and the major events in our lives. 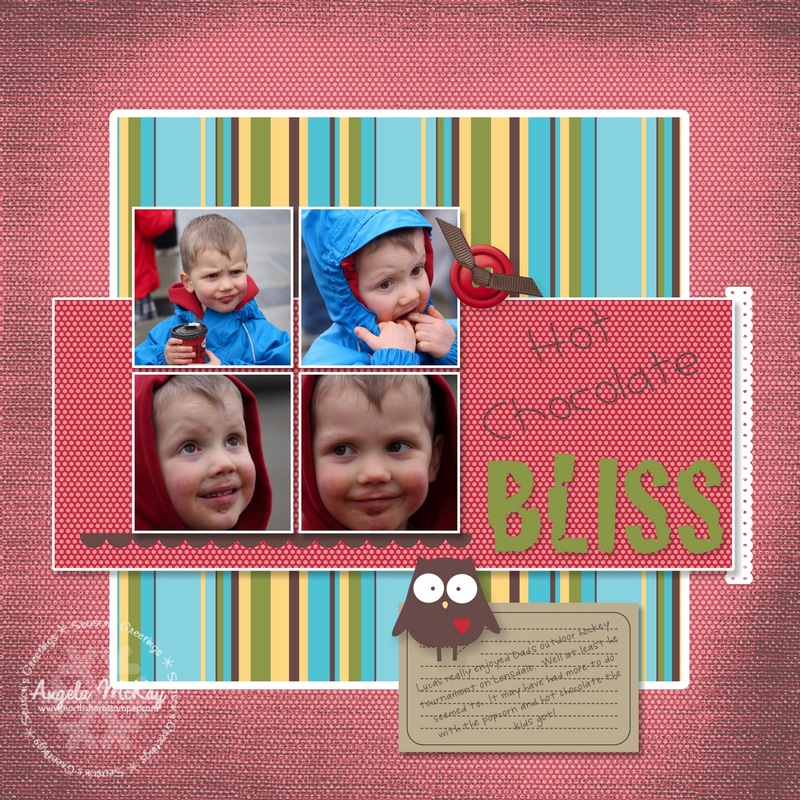 I couldn't resist making this page when I looked at these photos of little Lucas' face! 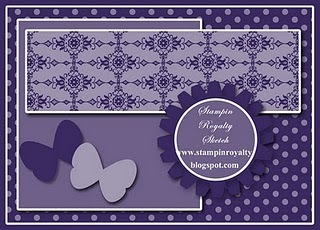 Stampin' Royalty Challenge #50! Go Glitter!!!!! I have been completely out of commission for the past 4 days with a horrible flu... thank goodness my blog was already set to post for the week. 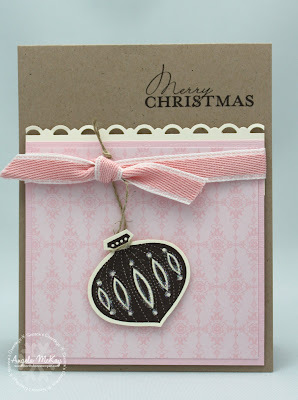 That is with the exception of this awesome glitter challenge that we're having at Stampin' Royalty this week. I didn't want to miss out, so I decided to go with a CASE this week. This is a version of a gorgeous card done by Lynn Pratt. Now normally I wouldn't do a case for a design team sample, but with the lack of energy I still have, just getting something created was a feat in itself:) Thanks for the inspiration Lynn! I can finally start to share some of the MDS pages that I've been working on lately. I made a 12x12 scrapbook for my mom for her birthday at the end of November, but she just got it on Monday. Now I don't have to worry about spoiling the surprise! Now, I would really love to give credit for this card, but I have NO idea who created it! I photographed it on the display board at Regionals. I love the warmth of the colour combo. If you know who created this gorgeous card, please let me know so I can give credit! This was definitely a favourite with the ladies who attended the Stamp-a-Stack. Quick Christmas Thank You Cards! In my "spare time", wink wink, I manage my son's soccer team. We had our Christmas wind up party last week and I wanted some Christmas thank you cards for the coaches that the boys could sign them before we tucked in some well deserved gift cards. I had yet to ink up the "Goal" stamp set from the current catty, but seeing as I wanted to keep it simple, these stamps were perfect! I know that it's hard to tell from the angle that I took the photo on, but both of the soccer balls are popped up on dimensionals. I love the shading on the stamps... it really makes the soccer balls look like they are popping off of the page! For all of you last minute shoppers out there... I have a special for you! Order $50+ in merchandise before Sunday December 12th at 10pm PT and you will get 20% off of the merchandise amount as well as free Expedited Shipping* to me! That means that I should have your order ready for pick up by Wednesday night! Orders must be placed directly through me and not online! *Expedited shipping is usually a $25 additional fee... it is in addition to regular shipping, so the standard 10% shipping will still be charged, but the $25 expedited fee is waived. If you forget to let your significant other know something on your wish list... now is the time! Here is yet another CASE of a Christmas card that I fell in love with early in the season! Ilina always has STUNNING creations! Personally I loved the fact that it was such non-traditional Christmas colours! This adorable card was cased from a fabulous friend and downline, Sabriena Satchwell. I love the elegant simplicity of it! New Downloads and a Deal! Purchase $35 before taxes in digital downloads in the month of December and get a $10 Gift Certificate to be used in January! (can not be used for club orders). $70 in downloads will earn you a $20 gift certificate and so on! You can check out all of the other amazing downloads here and then click on Digital Crafting on the right hand side! Okay Folks... This Is It!